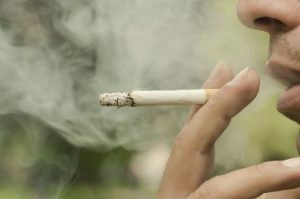 Can Smoking Affect a Dental Implant? It’s long been known that smoking increases the risk of cancer, heart disease and pregnancy complications. But you may not know that it’s also a risk factor for gum disease, which can lead to tooth loss. Since implants require support from healthy gum tissue, smoking can negatively impact implants as well. Smoking can delay healing and potentially cause an infection, both of which can cause an implant to fail. Since dental implants are such an investment in your oral health, it’s recommended that you stop smoking before undergoing the procedure. Thankfully, today there are many resources available to help with smoking cessation. Getting an implant may be the reason for quitting but you’ll be benefitting your health in countless ways if you can kick the habit! How Can You Prevent Implant Failure? One of the many reasons that dental implants in San Diego are such an excellent replacement option is that they can last a lifetime – with some basic maintenance. See your dentist regularly – Your bi-annual checkups and cleanings are a chance for your dentist to check all of your dental work, including your implants, to make sure everything is healthy. They’ll be able to catch potential problems at these visits when they’re small and easier to treat. Establish a hygiene routine – Although your implant won’t get a cavity it’s still crucial that you keep the gum tissue around the implant clean and healthy. Ask your dentist or hygienist to show you how to floss around it properly and be sure to brush at least twice and floss once each day. Oral irrigators can also be helpful. Watch your diet – Although your implant will be strong and solid you’ll want to avoid chewing on anything hard like ice, hard candy or popcorn kernels. Dr. Greg Friedman and Dr. Kory Grahl are dedicated to providing outstanding dentistry to their community. Combining the best that modern dentistry has to offer with a compassionate chairside manner, they always strive to give you the best dental experience possible. If you have any questions about the implant process you can reach them through their website or at (858)-547-0070.